GPS tracking goes beyond providing conventional security for the vehicle and assets onboard. In fact, what most fleet managers do not realize is that GPS tracking offers a lot of financial benefits as well. 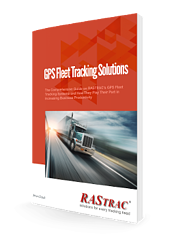 Introduction to Fleet Management and GPS trackers. Other assets and factors that contribute to business efficiency with tracking systems.